The Posiflex JIVA 8015 is discontinued. For a suitable replacement POS Computer see the Posiflex KS6800. 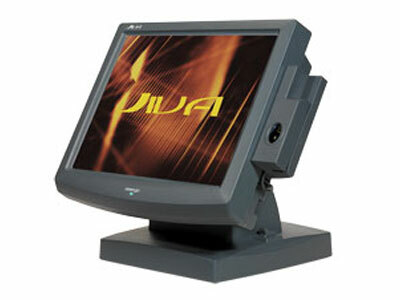 The Posiflex JIVA 8015 series is an Intel-based all-in-one touch terminal designed for hospitality, retail and vertical markets that require increased performance at the front-end workstation. With a unique space saving design, the base stand also houses an optional internal UPS battery and a primary IDE HDD for easy servicing. The Posiflex JIVA 8000 includes a 15" high luminance TFT LCD panel with brightness control commands to meet any application requirement.